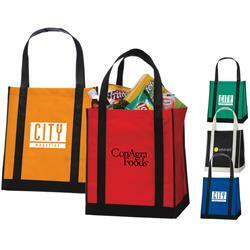 The Apollo Grocery Tote Bag - great for shopping with a stylish 2-tone look. 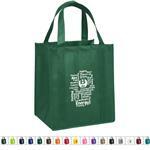 80 gsm recyclable material making this an eco-friendly tote. 20 inch reinforced handles. Lightweight but strong. Large gusset for shopping. 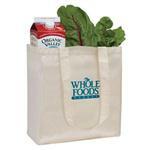 The two tone look really makes this tote bag a best seller. 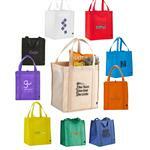 Available Colors: Red, Royal Blue, Green, Red, and Black. Production Times Available: 5 working days standard. FREE 24 HOUR RUSH. Available Imprint Options: Screen Print. 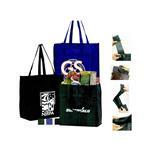 80 gsm non-woven polypropylene recyclable tote bags. Large gusset for shopping.